A variety of Christmas pictures. 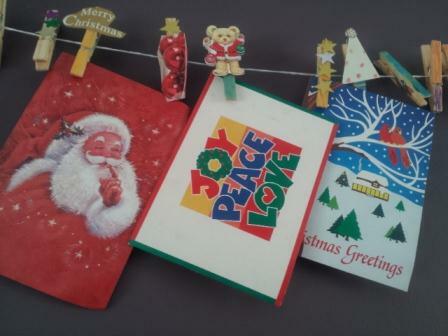 These can be cut from advertising pamphlets and old Christmas cards (greatrecycling). Collage materials such as glitter, stars also work well. 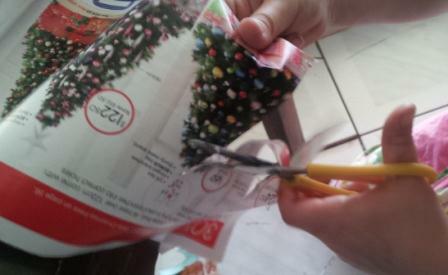 Children can cut pictures of Christmas items to be glued to the pegs. The can also paint or draw directly on the wood as well. 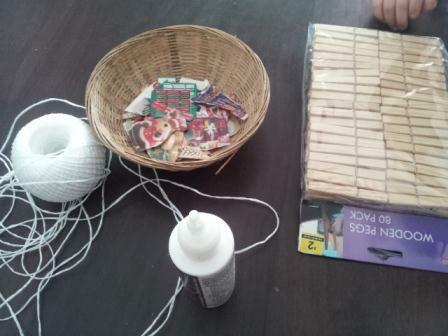 Any decorative collage item can be added to the pegs for great effect. Letters can also be added (some children may be ready to spell their name or Merry Christmas) . 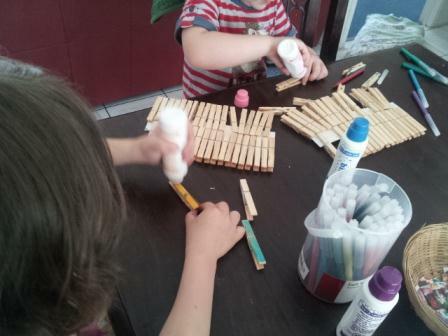 Peg finished pegs along string. Pegs painted in craft glue then dipped in glitter one side looks great. This Christmas Card hanger is fantastic for family Christmas presents. See you all tomorrow! Have Fun!